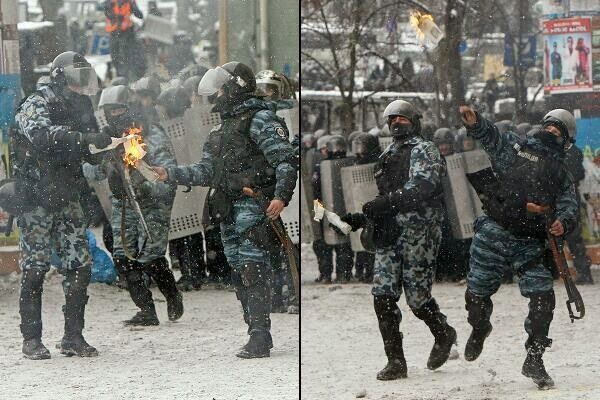 Protesters have escalated their game in Kiev, Ukraine. Chaos appears to reign in the city, with streets covered in burning tires and clouds of tear gas. Over 200 police officers have been injured and two people were reportedly killed. Given that none of the law enforcement officers carry firearms, it appears to clearly show that third parties are instigating even more violence. 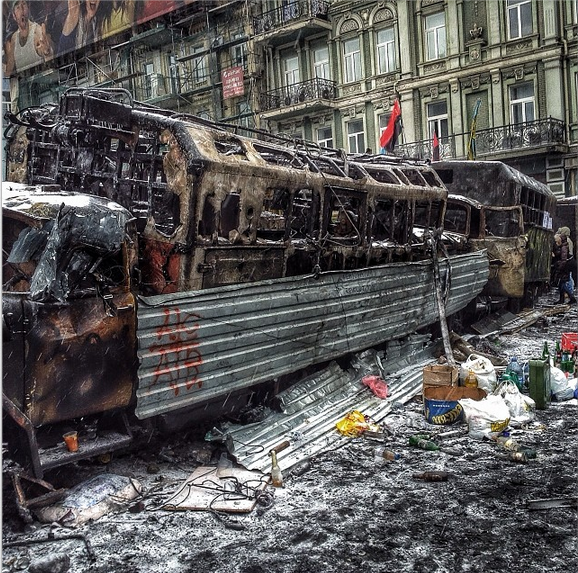 Rioters have created barricades using burnt vehicles. While riot police have also turned to throwing molotov cocktails.